Can you ever really forget your first lover? Sandy and Jenny are college roommates and best friends, and only gradually do they realize their growing attraction to one another. They become secret, but passionate lovers, yet after graduation they drift apart. When they meet up again years later by chance, the two women must confront the choices they’ve made in life. Was theirs just a schoolgirl crush or the romance of a lifetime—about to be rekindled? 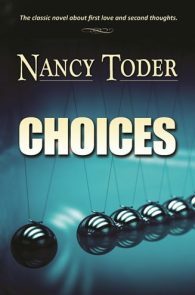 Nancy Toder is the Rita Mae Brown of the realistic. 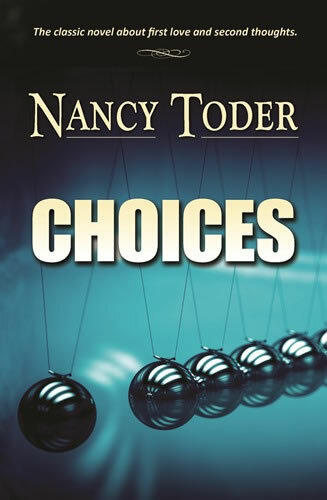 Choices really is a classic lesbian love story. It has everything required for a good read: plot, character, action, erotica. It may be the most popular novel since Rubyfruit Jungle. A super novel, every lesbian will recognize a part of themselves in these pages. The classic "roommates in college" scenario, watch as each makes their own life's "choices."